Citation Information: JCI Insight. 2016;1(16):e86612. https://doi.org/10.1172/jci.insight.86612. Maternal obesity is proposed to alter the programming of metabolic systems in the offspring, increasing the risk for developing metabolic diseases; however, the cellular mechanisms remain poorly understood. Here, we used a nonhuman primate model to examine the impact of a maternal Western-style diet (WSD) alone, or in combination with obesity (Ob/WSD), on fetal skeletal muscle metabolism studied in the early third trimester. We find that fetal muscle responds to Ob/WSD by upregulating fatty acid metabolism, mitochondrial complex activity, and metabolic switches (CPT-1, PDK4) that promote lipid utilization over glucose oxidation. Ob/WSD fetuses also had reduced mitochondrial content, diminished oxidative capacity, and lower mitochondrial efficiency in muscle. The decrease in oxidative capacity and glucose metabolism was persistent in primary myotubes from Ob/WSD fetuses despite no additional lipid-induced stress. Switching obese mothers to a healthy diet prior to pregnancy did not improve fetal muscle mitochondrial function. Lastly, while maternal WSD alone led only to intermediary changes in fetal muscle metabolism, it was sufficient to increase oxidative damage and cellular stress. Our findings suggest that maternal obesity or WSD, alone or in combination, leads to programmed decreases in oxidative metabolism in offspring muscle. These alterations may have important implications for future health. Citation Information: JCI Insight. 2016;1(16):e87157. https://doi.org/10.1172/jci.insight.87157. Little is known about the role of IL-3 in multiple sclerosis (MS) in humans and in experimental autoimmune encephalomyelitis (EAE). Using myelin oligodendrocyte glycoprotein (MOG) peptide–induced EAE, we show that CD4+ T cells are the main source of IL-3 and that cerebral IL-3 expression correlates with the influx of T cells into the brain. Blockade of IL-3 with monoclonal antibodies, analysis of IL-3 deficient mice, and adoptive transfer of leukocytes demonstrate that IL-3 plays an important role for development of clinical symptoms of EAE, for migration of leukocytes into the brain, and for cerebral expression of adhesion molecules and chemokines. In contrast, injection of recombinant IL-3 exacerbates EAE symptoms and cerebral inflammation. In patients with relapsing-remitting MS (RRMS), IL-3 expression by T cells is markedly upregulated during episodes of relapse. Our data indicate that IL-3 plays an important role in EAE and may represent a new target for treatment of MS.
Citation Information: JCI Insight. 2016;1(16):e87238. https://doi.org/10.1172/jci.insight.87238. BACKGROUND. Novel rapid diagnostics for active tuberculosis (TB) are required to overcome the time delays and inadequate sensitivity of current microbiological tests that are critically dependent on sampling the site of disease. Multiparametric blood transcriptomic signatures of TB have been described as potential diagnostic tests. We sought to identify the best transcript candidates as host biomarkers for active TB, extend the evaluation of their specificity by comparison with other infectious diseases, and to test their performance in both pulmonary and extrapulmonary TB. METHODS. Support vector machine learning, combined with feature selection, was applied to new and previously published blood transcriptional profiles in order to identify the minimal TB‑specific transcriptional signature shared by multiple patient cohorts including pulmonary and extrapulmonary TB, and individuals with and without HIV-1 coinfection. RESULTS. We identified and validated elevated blood basic leucine zipper transcription factor 2 (BATF2) transcript levels as a single sensitive biomarker that discriminated active pulmonary and extrapulmonary TB from healthy individuals, with receiver operating characteristic (ROC) area under the curve (AUC) scores of 0.93 to 0.99 in multiple cohorts of HIV-1–negative individuals, and 0.85 in HIV-1–infected individuals. In addition, we identified and validated a potentially novel 4-gene signature comprising CD177, haptoglobin, immunoglobin J chain, and galectin 10 that discriminated active pulmonary and extrapulmonary TB from other febrile infections, giving ROC AUCs of 0.94 to 1. CONCLUSIONS. Elevated blood BATF2 transcript levels provide a sensitive biomarker that discriminates active TB from healthy individuals, and a potentially novel 4-gene transcriptional signature differentiates between active TB and other infectious diseases in individuals presenting with fever. FUNDING. MRC, Wellcome Trust, Rosetrees Trust, British Lung Foundation, NIHR. Citation Information: JCI Insight. 2016;1(16):e87270. https://doi.org/10.1172/jci.insight.87270. Lymphangioleiomyomatosis (LAM) is a rare lung disease of women that leads to progressive cyst formation and accelerated loss of pulmonary function. Neoplastic smooth muscle cells from an unknown source metastasize to the lung and drive destructive remodeling. Given the role of NK cells in immune surveillance, we postulated that NK cell activating receptors and their cognate ligands are involved in LAM pathogenesis. We found that ligands for the NKG2D activating receptor UL-16 binding protein 2 (ULBP2) and ULBP3 are localized in cystic LAM lesions and pulmonary nodules. We found elevated soluble serum ULBP2 (mean = 575 pg/ml ± 142) in 50 of 100 subjects and ULBP3 in 30 of 100 (mean = 8,300 pg/ml ± 1,515) subjects. LAM patients had fewer circulating NKG2D+ NK cells and decreased NKG2D surface expression. Lung function decline was associated with soluble NKG2D ligand (sNKG2DL) detection. The greatest rate of decline forced expiratory volume in 1 second (FEV1, –124 ± 30 ml/year) in the 48 months after enrollment (NHLBI LAM Registry) occurred in patients expressing both ULBP2 and ULBP3, whereas patients with undetectable sNKG2DL levels had the lowest rate of FEV1 decline (–32.7 ± 10 ml/year). These data suggest a role for NK cells, sNKG2DL, and the innate immune system in LAM pathogenesis. Citation Information: JCI Insight. 2016;1(16):e88549. https://doi.org/10.1172/jci.insight.88549. Aberrant wnt/β-catenin signaling and amplification/overexpression of Myc are associated with hepatoblastoma (HB), the most prevalent type of childhood liver cancer. To address their roles in the pathogenesis of HB, we generated mice in which Myc and mutant β-catenin were targeted to immature cells of the developing mouse liver. Perinatal coexpression of both genes promoted the preferential development of HBs over other tumor types in neonatal mice, all of which bore striking resemblance to their human counterparts. Integrated analysis indicated that tumors emerged as a consequence of Myc-driven alterations in hepatoblast fate in a background of pan-hepatic injury, inflammation, and nuclear factor (erythroid-derived 2)-like 2/Nrf2-dependent antioxidant signaling, which was specifically associated with expression of mutant β-catenin but not Myc. Immunoprofiling of human HBs confirmed that approximately 50% of tumors demonstrated aberrant activation of either Myc or Nfe2l2/Nrf2, while knockdown of Nrf2 in a cell line–derived from a human HB with NFE2L2 gene amplification reduced tumor cell growth and viability. Taken together, these data indicate that β-catenin creates a protumorigenic hepatic environment in part by indirectly activating Nrf2 and implicate oxidative stress as a possible driving force for a subset of β-catenin–driven liver tumors in children. Citation Information: JCI Insight. 2016;1(16):e88643. https://doi.org/10.1172/jci.insight.88643. von Willebrand disease type 2B (VWD-type 2B) is characterized by gain-of-function mutations of von Willebrand factor (vWF) that enhance its binding to platelet glycoprotein Ibα and alter the protein’s multimeric structure. Patients with VWD-type 2B display variable extents of bleeding associated with macrothrombocytopenia and sometimes with thrombopathy. Here, we addressed the molecular mechanism underlying the severe macrothrombocytopenia both in a knockin murine model for VWD-type 2B by introducing the p.V1316M mutation in the murine Vwf gene and in a patient bearing this mutation. We provide evidence of a profound defect in megakaryocyte (MK) function since: (a) the extent of proplatelet formation was drastically decreased in 2B MKs, with thick proplatelet extensions and large swellings; and (b) 2B MKs presented actin disorganization that was controlled by upregulation of the RhoA/LIM kinase (LIMK)/cofilin pathway. In vitro and in vivo inhibition of the LIMK/cofilin signaling pathway rescued actin turnover and restored normal proplatelet formation, platelet count, and platelet size. These data indicate, to our knowledge for the first time, that the severe macrothrombocytopenia in VWD-type 2B p.V1316M is due to an MK dysfunction that originates from a constitutive activation of the RhoA/LIMK/cofilin pathway and actin disorganization. This suggests a potentially new function of vWF during platelet formation that involves regulation of actin dynamics. Citation Information: JCI Insight. 2016;1(16):e88755. https://doi.org/10.1172/jci.insight.88755. Esophageal squamous cell carcinoma (ESCC) is endemic in regions of sub-Saharan Africa (SSA), where it is the third most common cancer. Here, we describe whole-exome tumor/normal sequencing and RNA transcriptomic analysis of 59 patients with ESCC in Malawi. We observed similar genetic aberrations as reported in Asian and North American cohorts, including mutations of TP53, CDKN2A, NFE2L2, CHEK2, NOTCH1, FAT1, and FBXW7. Analyses for nonhuman sequences did not reveal evidence for infection with HPV or other occult pathogens. Mutational signature analysis revealed common signatures associated with aging, cytidine deaminase activity (APOBEC), and a third signature of unknown origin, but signatures of inhaled tobacco use, aflatoxin and mismatch repair were notably absent. Based on RNA expression analysis, ESCC could be divided into 3 distinct subtypes, which were distinguished by their expression of cell cycle and neural transcripts. This study demonstrates discrete subtypes of ESCC in SSA, and suggests that the endemic nature of this disease reflects exposure to a carcinogen other than tobacco and oncogenic viruses. Citation Information: JCI Insight. 2016;1(16):e89081. 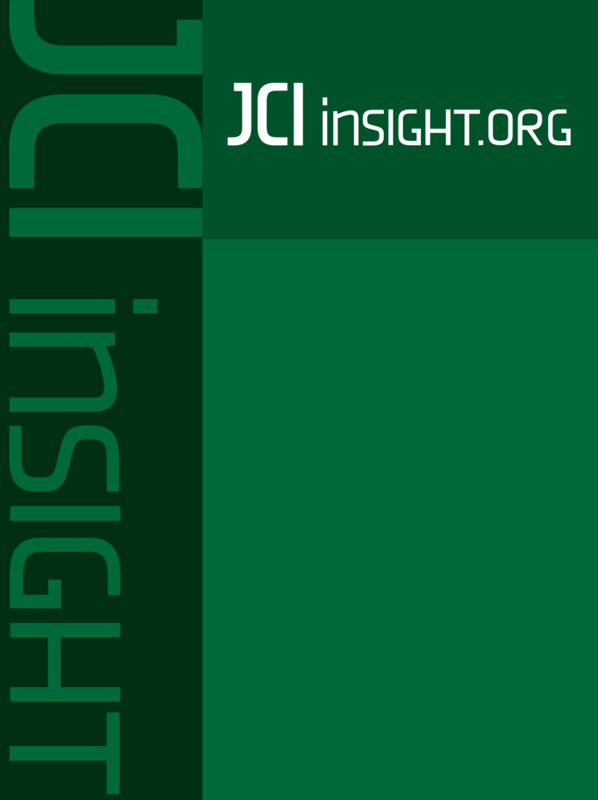 https://doi.org/10.1172/jci.insight.89081. Secondary lymphedema is a common postcancer treatment complication, but the underlying pathological processes are poorly understood and no curative treatment exists. To investigate lymphedema pathomechanisms, a top-down approach was applied, using genomic data and validating the role of a single target. RNA sequencing of lymphedematous mouse skin indicated upregulation of many T cell–related networks, and indeed depletion of CD4+ cells attenuated lymphedema. The significant upregulation of Foxp3, a transcription factor specifically expressed by regulatory T cells (Tregs), along with other Treg-related genes, implied a potential role of Tregs in lymphedema. Indeed, increased infiltration of Tregs was identified in mouse lymphedematous skin and in human lymphedema specimens. To investigate the role of Tregs during disease progression, loss-of-function and gain-of-function studies were performed. Depletion of Tregs in transgenic mice with Tregs expressing the primate diphtheria toxin receptor and green fluorescent protein (Foxp3-DTR-GFP) mice led to exacerbated edema, concomitant with increased infiltration of immune cells and a mixed TH1/TH2 cytokine profile. Conversely, expansion of Tregs using IL-2/anti–IL-2 mAb complexes significantly reduced lymphedema development. Therapeutic application of adoptively transferred Tregs upon lymphedema establishment reversed all of the major hallmarks of lymphedema, including edema, inflammation, and fibrosis, and also promoted lymphatic drainage function. Collectively, our results reveal that Treg application constitutes a potential new curative treatment modality for lymphedema. Citation Information: JCI Insight. 2016;1(16):e89362. https://doi.org/10.1172/jci.insight.89362. The challenge of translating findings from animal models to the clinic is well known. An example of this challenge is the striking effectiveness of neurokinin-1 receptor (NK-1R) antagonists in mouse models of inflammation coupled with their equally striking failure in clinical investigations in humans. Here, we provide an explanation for this dichotomy: Mas-related GPCRs (Mrgprs) mediate some aspects of inflammation that had been considered mediated by NK-1R. In support of this explanation, we show that conventional NK-1R antagonists have off-target activity on the mouse receptor MrgprB2 but not on the homologous human receptor MRGPRX2. An unrelated tripeptide NK-1R antagonist has dual activity on MRGPRX2. This tripeptide both suppresses itch in mice and inhibits degranulation from the LAD-2 human mast cell line elicited by basic secretagogue activation of MRGPRX2. Antagonists of Mrgprs may fill the void left by the failure of NK-1R antagonists. Citation Information: JCI Insight. 2016;1(16):e89371. https://doi.org/10.1172/jci.insight.89371. Processing by the proprotein convertase furin is believed to be critical for the biological activity of multiple proteins involved in hemostasis, including coagulation factor VIII (FVIII). This belief prompted the retention of the furin recognition motif (amino acids 1645–1648) in the design of B-domain–deleted FVIII (FVIII-BDD) products in current clinical use and in the drug development pipeline, as well as in experimental FVIII gene therapy strategies. Here, we report that processing by furin is in fact deleterious to FVIII-BDD secretion and procoagulant activity. Inhibition of furin increases the secretion and decreases the intracellular retention of FVIII-BDD protein in mammalian cells. Our new variant (FVIII-ΔF), in which this recognition motif is removed, efficiently circumvents furin. FVIII-ΔF demonstrates increased recombinant protein yields, enhanced clotting activity, and higher circulating FVIII levels after adeno-associated viral vector–based liver gene therapy in a murine model of severe hemophilia A (HA) compared with FVIII-BDD. Moreover, we observed an amelioration of the bleeding phenotype in severe HA dogs with sustained therapeutic FVIII levels after FVIII-ΔF gene therapy at a lower vector dose than previously employed in this model. The immunogenicity of FVIII-ΔF did not differ from that of FVIII-BDD as a protein or a gene therapeutic. Thus, contrary to previous suppositions, FVIII variants that can avoid furin processing are likely to have enhanced translational potential for HA therapy. Citation Information: JCI Insight. 2016;1(16):e89908. https://doi.org/10.1172/jci.insight.89908. Adipose tissue is a key endocrine organ that governs systemic homeostasis. PPARγ is a master regulator of adipose tissue signaling that plays an essential role in insulin sensitivity, making it an important therapeutic target. The selective PPARγ agonist rosiglitazone (RSG) has been used to treat diabetes. However, adverse cardiovascular effects have seriously hindered its clinical application. Experimental models have revealed that PPARγ activation increases cardiac hypertrophy. RSG stimulates cardiac hypertrophy and oxidative stress in cardiomyocyte-specific PPARγ knockout mice, implying that RSG might stimulate cardiac hypertrophy independently of cardiomyocyte PPARγ. However, candidate cell types responsible for RSG-induced cardiomyocyte hypertrophy remain unexplored. Utilizing cocultures of adipocytes and cardiomyocytes, we found that stimulation of PPARγ signaling in adipocytes increased miR-200a expression and secretion. Delivery of miR-200a in adipocyte-derived exosomes to cardiomyocytes resulted in decreased TSC1 and subsequent mTOR activation, leading to cardiomyocyte hypertrophy. Treatment with an antagomir to miR-200a blunted this hypertrophic response in cardiomyocytes. In vivo, specific ablation of PPARγ in adipocytes was sufficient to blunt hypertrophy induced by RSG treatment. By delineating mechanisms by which RSG elicits cardiac hypertrophy, we have identified pathways that mediate the crosstalk between adipocytes and cardiomyocytes to regulate cardiac remodeling.